Definitions and terminologies seem to follow you your entire career, don’t they? You’ve learned your fair share of medical terms, with some you’d love to forget if possible. As you’ve probably realized after finishing your residency, your days of learning are hardly over. But something tells me when you embarked on your medical career, you weren’t planning to have to become so familiar with insurance terms either– much less disability insurance terminology. As you have probably figured out by now, long-term disability insurance for a physician is no longer a nice to have, but a necessary component of overall financial health. But a simple search on the topic can cause more questions than answers for you. Here’s the good news. We’ve put together this guide of common disability insurance terms to help you answer some of these common questions. No one wants to try to guess what these mean or call their insurance agent every time they have something to ask. And another benefit – you don’t have to come up with clever acronyms or use a stack of index cards to memorize these terms either. Let’s dive right in with the list of terms you might come across as you’re purchasing or reviewing your long-term disability policy. One of the two broad categories, or definitions of disability, in which long-term disability policies fall into. This is also one of the two ways an insurance carrier defines how much you are able to work. The insurance company determines if you can work any occupation, based on your experience and education. The carrier will also determine if the policy holder can be gainfully employed. This is the most restrictive language for a physician’s policy and not recommended. This type of language is generally found within group (employer) policies. The written summary of an applicant’s medical history provided by the doctor or hospital.This is commonly requested as part of the application process for long-term disability coverage. This is an optional rider you can choose which will automatically purchase additional coverage for you throughout the years. Your monthly benefit would increase but your premium will also increase. It’s a way for you to purchase additional coverage without having to spend too much time thinking about it. The monthly amount (as determined by your policy) you will receive should you make a claim with your long-term disability policy. The Benefit Period is the amount of time you will receive your benefit payout as defined by your policy. Physicians who purchase a long-term disability policy on their own should look for a benefit period which pays out at least until age 65. This is a type of rider (or condition) written into your disability policy which provides coverage to physicians who own their own practice – either as a partial or full owner. This extra coverage goes towards expenses needed to continue to run a practice, such as rent, salaries and wages, office supplies, etc. A catastrophic disability rider is an additional purchase option for your policy. This rider would allow you to receive a 100% payout if you were classified under the catastrophic disability terms. This is typically defined as being unable to perform two activities necessary for daily living, such as feeding or bathing yourself, due to an injury or illness. It could also be the result of severe cognitive impairment or permanent disability from the loss of vision, hearing, or in the extremities. A claim is the formal request you make to the insurance company to payout or compensate you according to your policy. The insurance company will then make the payment based on the claim being validated. The form used to file a claim so you can receive benefits from your policy. This is the form submitted to the insurance company. This is a type of rider which increases your disability benefits based on inflation. If your policy does not contain a COLA rider, then your payout will remain the same for the life of the policy – no matter when you purchased it. A COLA rider can either be a flat percentage rate or tied to the Consumer Price Index. This is the term used to refer to the amount which would be paid out by the insurance company, should you need to file a disability claim. In order to receive your benefit from your policy, your insurance carrier will use a Definition of Disability. There are several different types of definitions (such as partial, total, catastrophic) and this will determine the amount of benefit you will receive. It could also impact your elimination period in which you would receive your benefit. This is the amount of time which your benefit will be paid out should you need to file a claim. Typical elimination periods are 30, 60, or 90 days. Elimination periods can even be as long as an entire year. The length of time you choose for an elimination period can have an impact on your premium. Exclusions can be written into the disability insurance policy by the insurance company. This type of language includes what an insurance company will not insure, based on the policy. Examples of exclusions are pre-existing medical conditions or multiple injuries to the same body part. The Future Increase Option (FIO) Rider is as in you can choose your disability policy. This allows you to purchase additional coverage in the future without having to go through the medical exam or underwriting process again. This rider will allow you the ability to purchase additional coverage without disclosing your change in medical history. Particularly popular for Residents, this feature allows you to purchase a policy at a lower rate while you are a Resident. The premium rate will increase over the life of the policy. Group Disability refers to the policies typically available in your workplace which cover multiple employees. This is a policy tied to your place of employment, therefore it is not portable should you no longer be employed. These policies cover all employees, regardless of the individual’s medical history, and is usually written with an Any-Occupation Definition of Disability. A guaranteed renewable policy means your insurance provider can not cancel your policy, as long as you have maintained payments on your premiums. A guaranteed renewable policy could still have a premium rate change, but only with approval through the state insurance office and policyholders. Guaranteed Standard Issue refers to a group disability insurance policy which covers multiple employees, no matter what their health or medical history is. Long-term Disability Insurance is a type of policy which provides income if you are unable to work due to accident or illness. This policy usually takes effect 90 days after an injury or illness. A standard procedure for acquiring a disability insurance policy. This is an exam of your medical history and to confirm the medical information you have submitted on the application. An underwriter will also review for any underlying medical conditions. The exam itself is similar to a medical checkup. A Multi-Life discount is a type of discount available if two or more employees from the same office or practice apply for a long-term disability policy. This type of discount isn’t available everywhere, but is worth asking if your policy would qualify. This means the rate or terms on your policy will not be increased or raised over the life of policy, as long as you have maintained payment on your premiums. Overinsurance is in reference to purchasing too much coverage versus what you really need. This results in paying too much for your premiums. Own-Occupation is one of the two broad categories a long-term disability policy falls into, and is another type of Definition of Disability. Own occupation disability insurance pays out when you are no longer able to perform the job you had prior to your injury. Whether you get a new job in a related field or end up working in an entirely different occupation, you’ll still receive disability benefits because you are unable to execute your previous responsibilities. Own-Occupation is the preferred language for physicians (versus Any-Occupation). Partial Disability can also be used interchangeably with Residual Disability. This is an optional rider you can purchase to protect a loss of income, should you experience at least a 15-20% loss of income within your specialty due to injury or illness. See also Residual Disability Benefit. A policy is the actual document which outlines the agreement you have with the insurance company to provide long-term disability coverage. Your policy will include specific information such as how much you will be charged for premiums, the conditions (riders), and the Definitions of Disability. Other important information such as Elimination Period, Exclusions, Benefit Period, etc. should also be included. A pre-existing condition is an illness or health condition which was known to exist prior to signing a long-term disability contract. A premium is the amount of money you must pay in order to be covered by an insurance policy. The premiums can be paid monthly, quarterly, or annually. The premium is based off not only the type of policy, but also the options or conditions the policyholder chooses to add. A recovery benefit is a monthly benefit paid to you to supplement the gaps in your income from the time of pre-disability to the time you return to work. This is typically included in a Residual Disability benefit. Regular Occupation refers to the type of work the policyholder is regularly working in when a disability claim is filed. Regular occupation is not necessarily the work the policyholder was practicing in at the time of the application. Residual disability is sometimes referred to as a partial disability benefit. This is an optional rider for your policy which pays out if you’re still working within your profession (own occupation) but you still have a loss of income due to lower productivity. This rider closes the gap in pay when your disability limits the amount you were able to previously work. This could be especially important for physicians since your pay could be based on the number of patients you see. Also referred to as Retirement Protection, this is a rider you can purchase and would be paid out during your retirement. This is additional coverage to offset the amount you were not able to contribute towards your retirement accounts (such as a 403b) while you were drawing from your long-term disability. The money you pay towards this rider is put into a trust while you are contributing, then the funds become available during your years of retirement. A rider is a condition added to your policy, above and beyond the standard coverage being offered. Adding a rider to your policy is a way to customize the language so the coverage works best for your situation and makes your policy more comprehensive. Adding riders almost always results in additional costs to your disability insurance premiums. A short-term disability insurance policy is usually sponsored by an employer. The benefit period is anywhere from three to six months, with the elimination period typically starting around 14 days after a claim has been made. This is a relatively new type option for reimbursement offered for long-term disability policyholders. It’s an option designed to cover your student loan payments should you experience a loss of income due to a disability. 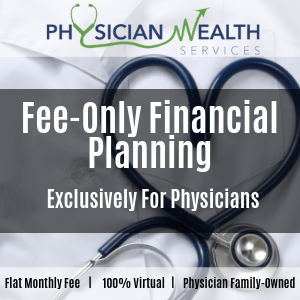 While this may be tempting for physicians (who often have massive amounts of student loans) this particular option has limited benefits and is generally not recommended as an add-on to your policy. A survivor benefit is type of rider can add to your long-term disability policy. This would pay out a lump sum to whomever you designate as the beneficiary, if you are collecting a disability benefit at the time of your death. Also referred to sometimes as a Death Benefit. True Own Occupation is similar to the Own Occupation language and definition of disability. This type of allows you to be defined as disabled if you are unable to perform the duties of your medical specialty even if you can continue to bring in an income from another specialty or another occupation. Underinsurance is the exact opposite of overinsurance. This is when you do not purchase enough coverage to cover your potential loss of income, should you need to draw disability. Underwriting is the process by which the insurance company will assess the degree of risk for an applicant. Since the insurance company is taking on the risk with the insured, this process will determine how much they should charge to adequately cover the applicant. Remind Me: Why do Physicians Need Disability Insurance? With all the different variables to choose from, you may be wondering why it’s so important to choose a long-term disability policy in the first place. Overall financial health for a physician should include a long-term policy which offers ample coverage. As a doctor, your work is physically demanding and you depend greatly on being able to use your hands, feet, eyes, ears and limbs in order to practice. Even if you are still able to work, you might not be able to work in the same capacity prior to your disability. Statistically speaking, you have a one in four chance of needing to file a disability claim in your lifetime. What’s more astonishing is the average disability claim is around 32 months! Would your emergency fund and savings be enough to carry you for over two years? Would you want to deplete these accounts even if you did have the funds set aside? As a physician, with your above-average income, it’s simply not worth the gamble. Putting a long-term disability policy in place is a way to insure you won’t face a massive financial burden should something happen to your ability to work. And since these types of policies are portable, you’ll be able to take it with you no matter where you work, or if you decide to work on a contract basis. Don’t let unfamiliar terminology slow you down when it comes to researching disability insurance. If you think you need to modify or replace your existing policy, then take a few moments to read these terms and you’ll be well on your way to making an informed decision. It’s also in your best financial interest to work with an independent insurance agent who can go into greater detail with these terms and how they might affect you. Remember, you only purchase a disability policy once – maybe twice – in your career, so it’s worth the time to understand what you’re paying towards. Interested in learning even more about long-term disability insurance for physicians? Check out the Comprehensive Guide! You can also join the Financial Residency Facebook Group to find out how physicians like you are managing their finances.